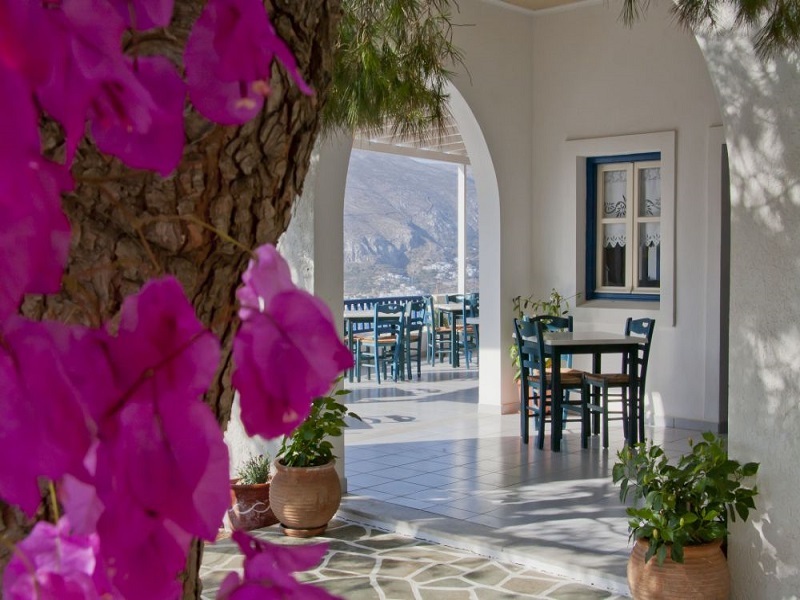 The restaurant of the hotel Vigla is one of the most known in Amorgos island due to its meticulous cuisine, the local and fresh ingredients that dominate the menu and the beautiful view, as well. You will easily find it at the entrance of the village "Tholaria", built in a privileged position, providing everywhere the view of the port of Aegiali and the surrounding area. 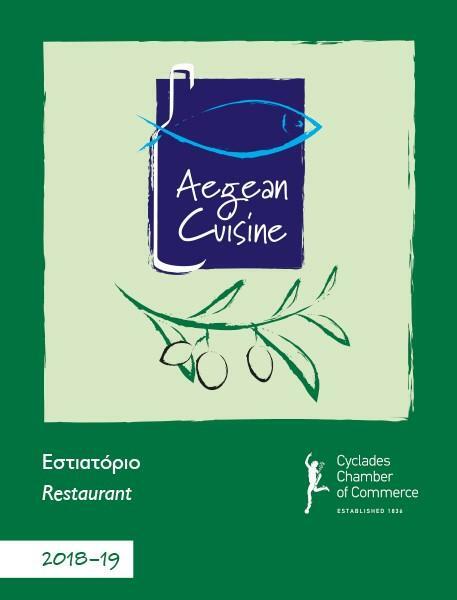 Since years the owners have personally curated not only the preparation of dishes but also the cultivation, harvesting of local raw materials and supply of other Greek-Mediterranean products in order to maintain always the high quality and tasty perfection. Additionally, the "home" care, the passion for good job and the respect for the customers help to distinguish each dish its own unique flavor. 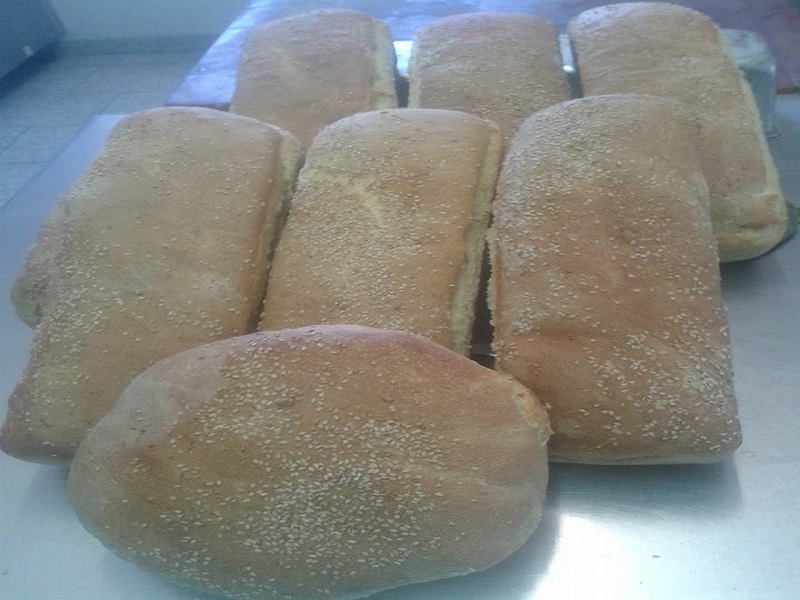 At Vigla hotel's restaurant the odoriferous bread is kneaded by us and is baked in our oven according to a traditional recipe. The cooked lamb with potatoes and red sauce, dominated as the traditional food in our island, known as "patatato" is cooked here exclusively with local meat and great care that make it desired. Vegetables for salads and dishes are collected predominantly from the orchards of the owners so it dominates in all the dishes the rich flavor and taste. Specifically, capers and extra virgin olive oil is completely organic (biological) as both the capers and the valuable olive fruits are collected by the family directly from the pure nature of Amorgos. The delicious and nutritious Amorgian fava, the local myzithra cheese and Amorgian cheese could not be excluded by the restaurant's menu. 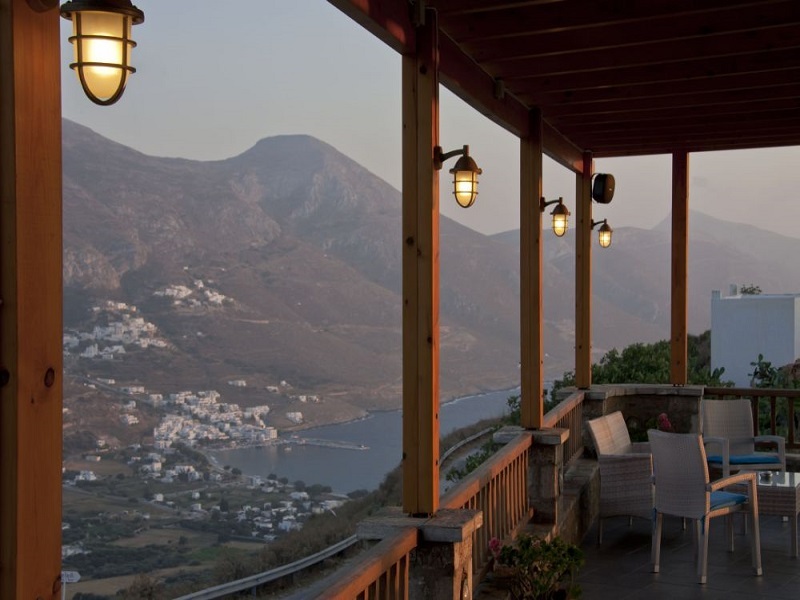 A Greek wine from the wide variety will perfectly accompany your perfect meal. The epilogue in the pick of taste may occur with desserts like: homemade preserves sweets or fresh fruits gathered from the fruit trees in our orchard, a variety of fresh homemade cakes/sweets or Amorgian drink known as "psimeni raki", made according to the traditional recipe. 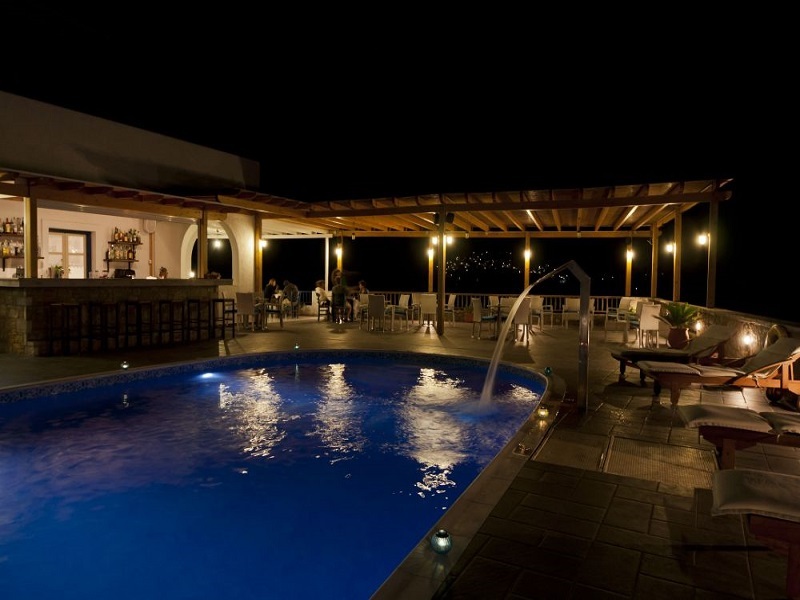 In our restaurant Vigla many tables are poolside and you can always enjoy a coffee or a drink, as well. 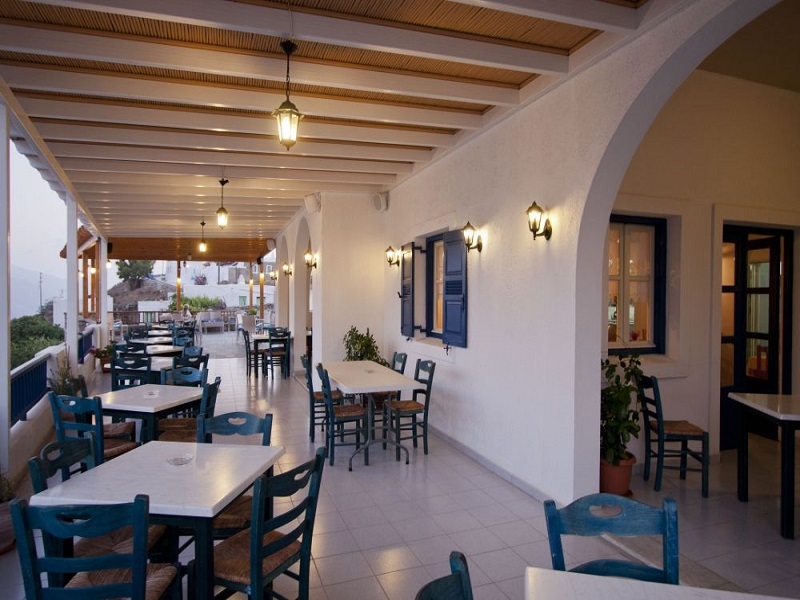 Last but not least, we ought to mention that in our restaurant can take place any kind of reception and you are absolutely going to enjoy special moments. VIGLA - S.K.E. GIANNAKOPOULOS A.E.